Human-caused greenhouse gas emissions are like a cat burglar. They’re hard to see and harder to catch in the act. However, they’re prone to leaving fingerprints, and scientists, acting as detectives, have been looking for those fingerprints as evidence has mounted that greenhouse gases are causing global average temperatures to increase. The latest discovery, announced Monday in a paper in the Proceedings of the National Academy of Sciences, makes the case that those emissions are causing changes to the climate in the lower and upper reaches of the atmosphere. The new paper examines the role of emissions from human activities — largely from the burning of fossil fuels such as coal and oil — in causing the seemingly contradictory phenomenon of warming in the troposphere, which is the layer of the atmosphere closest to the ground, where most weather occurs, and cooling in the stratosphere, which lies above the troposphere at an altitude of between 40,000 to 160,000 feet. The atmosphere visible as the sunsets over the Indian Ocean as seen from the International Space Station. To do this, researchers looked at two updated satellite datasets and used advanced computer models to try and recreate those observations through simulations. It’s part of a process called fingerprinting, which Ben Santer, a scientist at Lawrence Livermore National Laboratory and lead author of the study, pioneered in the 1990s. In this study, Santer and his colleagues ran computer models to compare the fingerprints of manmade emissions with natural factors, such as volcanic eruptions or changes in the sun’s activity, to see which of the suspects caused the pattern of tropospheric warming and stratospheric cooling. Increases in greenhouse gases in the troposphere generally act as an insulator, leading to warming. In contrast, the stratosphere, which is the next layer up, has cooled due to a combination of less warmth leaving the troposphere and the depletion of the ozone layer. Changes in the troposphere have the potential to alter global weather patterns, while a cooler stratosphere lets in harmful ultraviolet radiation and can affect the troposphere in certain areas, such as over Antarctica. The tools available to Santer and other scientists have greatly advanced since 1996. Santer and his colleagues moved beyond weather balloon data and a handful of outdated climate models. The new study compares observations from two satellite data sets to the results of 22 state-of-the-art climate models. Whereas most previous research has only focused on comparing a human signal with natural causes of climate variability such as the El Niño-Southern Oscillation, increased computing power gave researchers flexibility to add scenarios like volcanoes and solar variability. 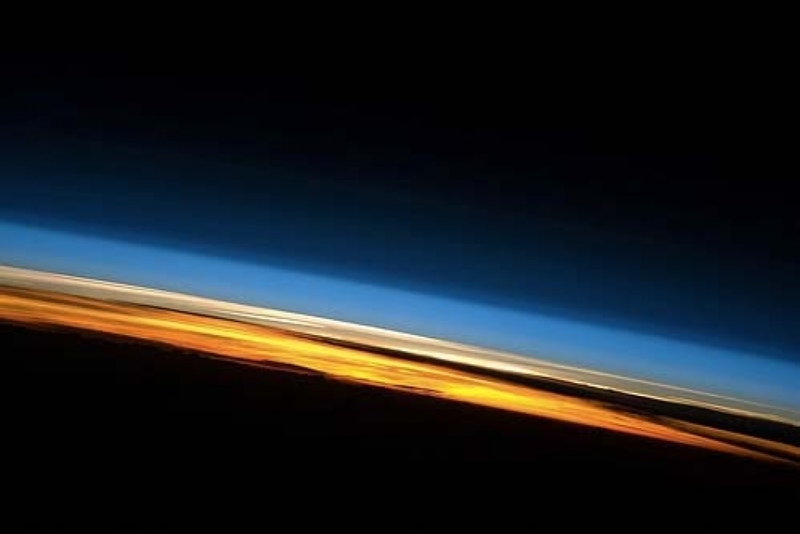 The researchers found that the only way to actually reproduce the pattern of a warm troposphere and cool stratosphere was when manmade greenhouse gas and ozone-depleting emissions were added. The ozone-depleting emissions played a particularly large role in stratospheric cooling in the Southern Hemisphere while greenhouse gas emissions were the big drivers of warming in the troposphere. In contrast, volcanoes and the changes in the sun’s output played a very small role in creating the vertical pattern of temperature changes. Santer and his colleagues also used models to see if the biggest volcanic eruptions and shifts in solar activity from the past 1,000 years could recreate the pattern, but to no avail. In the past, uncertainties in both models and how satellite observations are made have been used to question the validity of this type of research. For example, the gradual drift of satellites to lower orbits can alter the data satellites collect, leading to the appearance of a temperature trend when it's really an artifact of the spacecraft. The new study takes updated estimates of the satellite-related uncertainties into account. On the climate model side, while most replicated the large-scale pattern well, there were some areas where the models didn’t quite get it right. For example, computer models underestimate warming in the Arctic, which has been observed to be warming twice as fast as the mid-latitudes, while also overestimating warming in the tropics. Santer pointed to three possible reasons for the simulations to miss those trends: small volcanic eruptions, or changes in water vapor or the ozone layer. Resolving the exact cause is an area of future research he sees as important as well as seeing if using just the best models provides better results. However, the study’s general findings remain sound and occupy a place in a growing field of attribution studies that aim to identify human fingerprints in not just large scale patterns, but also extreme events. Given the relatively new nature of the field, scientists tend to take a cautious approach. “The techniques (in this study) are relatively conservative, but rightly so because this gives us more confidence in the results,” said Lesley Grey, a researcher at Oxford University who has done similar research but isn’t associated with the new study.